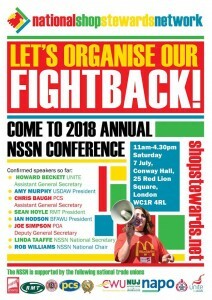 The NSSN steering committee decided to put our annual conference back a week from its original date of June 30th to avoid a clash of dates with a demonstrations to celebrate the 70th anniversary of the NHS. We will do all we can to build these protests against continuing Tory health cuts. The spycops story has gone mainstream after there was uproar in the press over the window display in the Lush stores. The Blacklist Support Group would like to place on record our solidarity with the High Street cosmetics retailers, Lush. 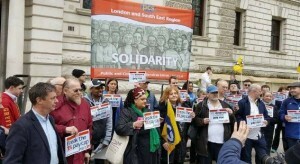 We are proud to stand shoulder to shoulder with those who are highlighting the abhorrent practice of spycops committing human rights abuses whist infiltrating perfectly legal democratic political campaigns. The Blacklist Support Group is one of the campaigns that has been targeted by the spycops.